Her Royal Highness The Princess Royal is to officially open the University of Plymouth’s multimillion pound Derriford Research Facility, the new headquarters of its flagship Institute of Translational and Stratified Medicine, on Tuesday 15 May 2018. From brain tumours to vaccines, tissue regeneration to hepatitis, antibiotic resistance to innovative new cancer drugs, the state-of-the-art centre brings together all of the University’s lab-based medical, biomedical and dental research to focus on the development of new therapeutics, diagnostics, interventions and approaches to prevent, diagnose and treat diseases, enhance patient outcomes and improve global healthcare. 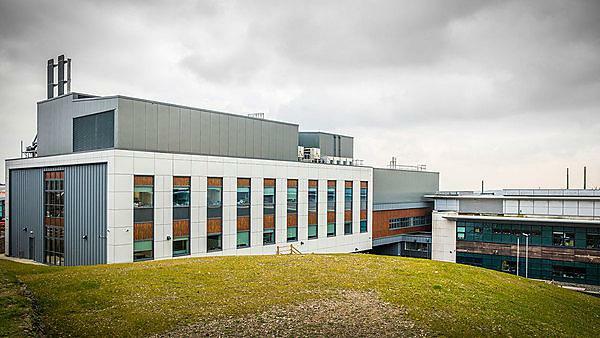 Located adjacent to the University’s Peninsula Schools of Medicine and Dentistry at Plymouth Science Park, and next to Derriford Hospital, the facility allows greater collaboration between medical, dental and biomedical researchers at the University, as well as with research clinicians from Plymouth Hospitals NHS Trust. The 2,300 square metre building also houses up-to-date stock management for equipment and other supplies; specialist services such as the University’s Systems Biology Centre; and a new STEM teaching area as well as the refurbishment of existing laboratory, research and teaching space. Her Royal Highness will be escorted on a tour of the facilities where she will be introduced to some of the life-changing research taking place and meet members of the community who have benefitted from it. This will be followed by the official launch reception. “We are honoured to welcome The Princess Royal to the Derriford Research Facility. This visit underlines the importance of medical research to the provision of leading health care for the people of Plymouth, the region and beyond. It marks an exciting milestone for the University in accelerating our world-leading research ever-closer to finding treatments, cures, and vaccines against some of the most significant health issues. Our students too, as the future of the health and medical workforce, will greatly benefit from working alongside world-leading researchers in a world class facility." The quality of health research at the University is nationally recognised. The Research Excellence Framework 2014 ranked the institution top in the UK for the quality of its research outputs in Clinical Medicine. It is one of the lead academic partners in the Alzheimer’s Research UK South West Research Network, and one of only four Research Centres of Excellence for charity Brain Tumour Research. It is hoped that the Derriford Research Facility will build on these strengths with the potential to attract more of the greatest minds in medicine to Plymouth, and put the city and region on the international map in addressing global health issues.